Arjun Harindranath is the editor of The Bogota Post. The escalating crisis in Venezuela has seen sky-high hyperinflation, widespread hunger and a large-scale exodus out of the country. The desperate circumstances have led to more than three million Venezuelans leaving the country for a better life. According to recent numbers published by the UN, Latin American countries have doled out around 1.3 million residence permits and other state authorisations to Venezuelans in need. The impact on the country has been generational and this effect is no different when applied to its tech sector. Once considered one of the centres of wealth and innovation in Latin America, Venezuela’s capital Caracas now stands a shell of its former self, having seen a core of top talent leave for other countries on the continent. Knobelsdorf has seen the carnage in Caracas first-hand having spent much of his time within the city’s entrepreneurial circles. The crisis in Venezuela’s first major symptom was a hyper-inflating currency which not only prevented tech talent migrating from other Latin American nations, it also led to salaries stagnating for local workers; all the way from programmers to executives. The situation has gotten so extreme that money isn’t counted anymore, it’s weighed, as the sheer amount needed to buy basic goods has lead to widespread poverty within the country. According to a recent ENCOVI study into living conditions in Venezuela, 87 percent of the country now live under the poverty line. And despite much reporting around the so-called “boom of cryptocurrency” in Venezuela, the country’s inability to find cash for its most experienced workers has led many to look elsewhere. A 2018 Global Talent Competitiveness Index (GTCI) put out by INSEAD last year lays out the cold facts of Venezuela’s “brain drain”. Out of 119 countries, Venezuela came in at number 105 for the ability to compete for talent in specialised professions. Moreover, the country ranked poorly in its ability to attract talent from elsewhere and was at the very bottom when it came to keeping its brightest minds. The tragedy of this ranking becomes all too acute on realising that this result is despite Venezuela’s high education outcomes and highly-educated workforce. The report also highlighted another common reality for Venezuelans: that of an uncertain security situation and the rampant rise of crime in the country. From safety while travelling on the city’s public transport, to the constant danger of muggings, many have now decided to move on from their homeland for a more secure future. This also contributes to a larger problem — the crumbling infrastructure necessary for tech companies and professionals to continue working in the country. Venezuela was known to be one of the Latin American countries with the best internet connectivity in the past. But now, with frequent power outages and irregular coverage, many companies have looked to opt out of the country. A recent study also showed that internet speed within Caracas now stands at less than half of the average speed within Latin American countries. According to a new article in Scientific American, this science “brain drain” has its roots in the Chavez regime when former President Hugo Chavez fired employees of PDVSA, Venezuela’s state-owned petroleum company, after they went on strike against his radical policies. This then led to a first wave of mass migration of the country’s scientists to the US. Under his successor Nicolás Maduro things didn’t pick up for scientific research either, with funding all but evaporating. This trend also applied to universities where low salaries–as low as US$18 a month–have led to large scale walkouts in both public and private institutions in Venezuela. Although many of the earlier waves of migration left for the US. Others chose Latin American countries that were more developed and willing to take in Venezuelan professionals. Jorge Pacheco was one such worker having joined as a developer at intive-FDV in Buenos Aires, as part of the company’s active recruitment of Venezuelan labour. “The level of formation is much higher in Argentina and much more technical. It really gives us a chance to learn more by being here as all the larger companies are from Argentina,” Pacheco said. The Argentine company, that creates software-based solutions for enterprise companies, now has 10% of its workforce originating from Venezuela and, looking more specifically for programmers for their office in Buenos Aires, intive-FDV has found the program a success in increasing the diversity of their workforce. Although Pacheco was one of the luckier ones, others can’t immediately walk into tech jobs on leaving the country. Across the continent, many tech and science grads have had to look for what work they can find, be it teaching, driving ride-shares working at restaurants or smaller jobs like cleaning houses to get by. Colombia, having taken the lion’s share of Venezuelan nationals following the crisis, has seen a large influx into their informal economy. With over a million Venezuelans choosing to call their western neighbour home, it also comes as little surprise that Venezuelans would also be among Colombia’s tech ecosystem as well. Francisco Fernandez came to, Medellin, Colombia around 18 months ago. His heart condition along with Venezuela’s failing healthcare system made the choice to leave a difficult but necessary step. His fortune came in the fact that The History Channel (Español) took him on as an animator on a remote contract, allowing him to work anywhere in the world. Like many media professionals and companies–including Latina Productions and VC Media–Fernandez chose Colombia for its ease of access to his home country. Which is perhaps why it’s so crucial that Venezuela’s brightest minds do find firmer, safer footholds elsewhere to give Venezuela a fighting chance when it finally finds political and economic stability. Recent worrying events are likely to ramp up the mass flight from Venezuela, with their technological sector looking to suffer along with it. 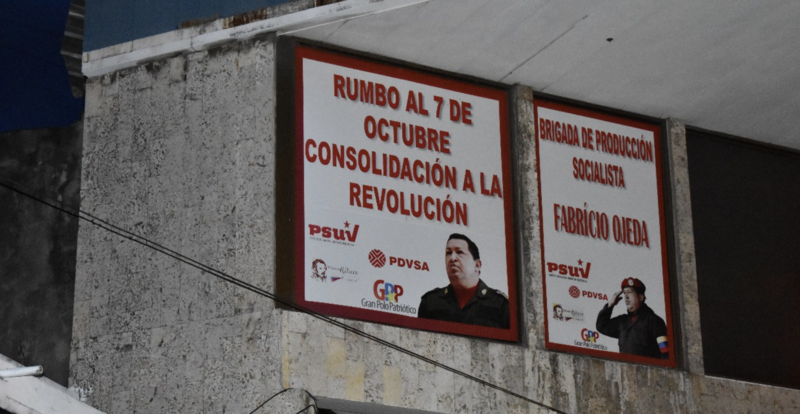 A turning point, when it finally arrives, will no doubt look to Venezuela’s diaspora to rebuild what has been destroyed.